Gil Birmingham is a Comanche actor who has been in the Hollywood scene for more than three decades. The actor’s talents and versatility are evidenced in an exhaustive list of film credits. More so, Gil is presumed to be a good fit for Native American male roles in the industry. Find out lesser-known facts about the former bodybuilder, guitarist, singer and of course, actor. Gil Birmingham is a Texan born on July 13, 1953, in San Antonio to Gilbert and Rozale (Becky) Birmingham. Not much is known about his family and elementary education. However, the actor once revealed that he grew up as an angry and lonely child because of his father’s military career which made them move around often. For his tertiary education, Birmingham attended the University of Southern California School of Policy, Planning and Development where he graduated with a degree in Administration in the year 1981. Prior to his career as an actor, Gil Birmingham first worked as a bodybuilder. It was while doing his job at the gym that Gil was spotted by a talent scout. He made his debut in the entertainment industry in 1982 with a feature in the legendary singer Diana Ross‘s video Muscles. It was after the music video that Gil made the decision to fully switch careers to acting. Being aware of how competitive the industry is, Birmingham chose to first hone his acting skills under Larry Moss and Charles Conrad’s tutelage. He made his acting debut on stage with a lead role as Conan the Barbarian in the Universal Studios production The Adventure of Conan: A Sword and Sorcery Spectacular, which ran between 1983 and 1993. He followed up with a debut on the small screen in the 1986 TV series Riptide. Gil Birmingham’s other TV features include both guest and recurring roles in series such as Into the West, Nip/Tuck, Buffy the Vampire Slayer, Veronica Mars, The Mentalist, House of Cards, the Netflix comedy Unbreakable Kimmy Schmidt. Some of his film credits include the 2003 movie Dreamkeeper, Love’s Long Journey (2005), and The Lone Ranger (2013). He portrayed the character Manny Deadmarsh in the 2001 movie The Doe Boy, and as Ben Logan in the film Crooked Arrows (2012). More recently, he appeared as a Texas Ranger in the 2016 movie Hell or High Water, and as Shaman Neka in The Space Between Us (2017). However, the actor is best known for his role as Billy Black in the hit Twilight series. He is also a voice actor who has lent his voice for different cartoons/animations including The Wild Thornberrys (1998 to 2004), and Rango (2011). 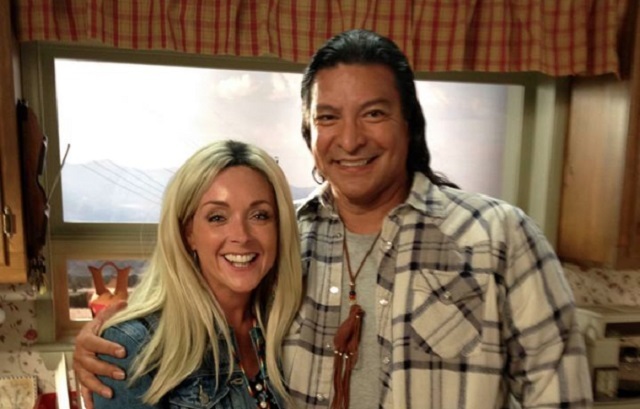 Gil Birmingham is one of those stars who prefer to keep details of their personal life under wraps. Despite the mystery that shrouds his love life, the actor is believed to have never been married and does not have any children. More so, there are no records of his past and present relationships. Given that Gil’s relationship status is uncertain, it is safe to presume he is secretly dating or is perhaps single and willing to mingle. Gil Birmingham’s first love is music and he learned to play the guitar at an early age. Prior to his career as an actor, Gil used to play in bands around cities like San Francisco and Los Angeles. His numerous endeavors in the entertainment industry have been rewarded not just financially but also with awards. The talented actor has been honoured both locally and across the globe. Notably, he is a recipient of the 2001 Sundance International Filmmaker’s Award for his performance in The Doe Boy. The next year, the movie Body and Soul earned him the First Americans in the Arts award. Again, in 2005, Gil’s outstanding performance in the film Dreamkeeper won him the American Indian LA Film and Television Award. Birmingham has been in the acting scene for more than three decades and has accumulated an impressive list of screen credits. Though his exact salary figure is unknown, Gil undoubtedly earns a decent amount and can afford to live a comfortable lifestyle. The Comanche actor’s net worth is currently estimated at about $700,000. The dark-haired actor with a copper skin is more than 6 feet tall although the exact figure is unknown. Birmingham is active on social media especially on popular sites such as Facebook, Twitter, and Instagram. The actor has a huge fan base on these sites where he shares his beliefs, interests and lots more with his teeming fans. The native American actor once revealed the strategy that helps him in successfully portraying ethnically nonspecific characters. According to Gil Birmingham, the key has been to play his characters as human beings.